Platform Size 11.3" x 11"
Scale Size 12.6" x 2.4" x 14.3"
Double Display for Doctor and Patient ViewingThat's right. 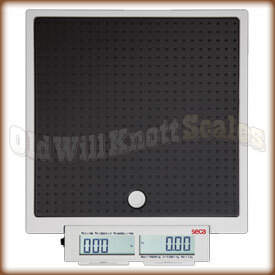 This high capacity medical scale has two weight displays. One facing the person on the scale and one facing the doctor or nurse taking the weight reading. No more trying to read upside down weights! 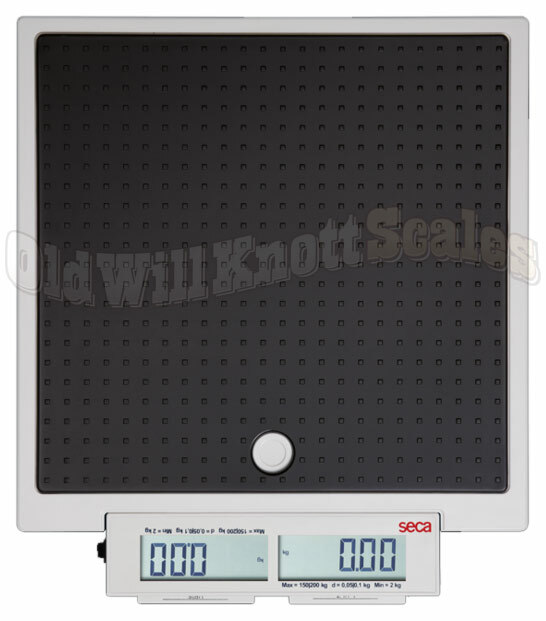 Auto-Hold FeatureThis floor scale has an automatic hold feature that will lock your weight on the display as soon as it's stable. Low Power ConsumptionSeca designed this health scale to be very economical. When ya run this scale with batteries, you'll be able to get up to 10,000 weight readings before ya have to change 'em out. Now, that's a whole lot of weighing if ya ask me.